It is a case that haunts Dr Waney Squier and one any parent will find deeply distressing. 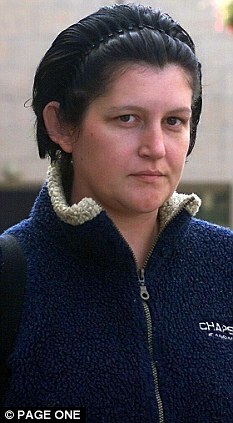 Lorraine, who vehemently protested her innocence, was convicted and jailed for three years. Her punishment was not limited to incarceration, as tragic consequences rippled out from Patrick’s death. Lorraine wasn’t allowed to go to his funeral; a baby she gave birth to as she was starting her sentence was taken away for adoption; her partner left her and both her parents died while she was in prison. Her life fell apart. By the time Lorraine’s appeal was heard in 2005, Dr Squier had become convinced the criteria she had used to define whether SBS had taken place were wrong. In a complete U-turn, she now appeared as an expert witness for the defence. Lorraine’s conviction was quashed. It is difficult to imagine Lorraine’s feelings as she digested this news. Relief, perhaps, but the occasion could hardly be described as joyous. One of her children had died and she had not been allowed to grieve. Another child had been taken from her. And she would possibly never be free from the taint of the original conviction. ‘Her conviction was overturned but it was a hollow victory because her life had been completely devastated,’ says Dr Squier, who had helped right a wrong but could not erase the pain it had caused. ‘I did and sometimes still do feel terrible about what happened. It is indeed, and it is an extraordinary claim but one that should be taken seriously. Dr Squier, 63, is the most experienced paediatric neuropathologist in the country. 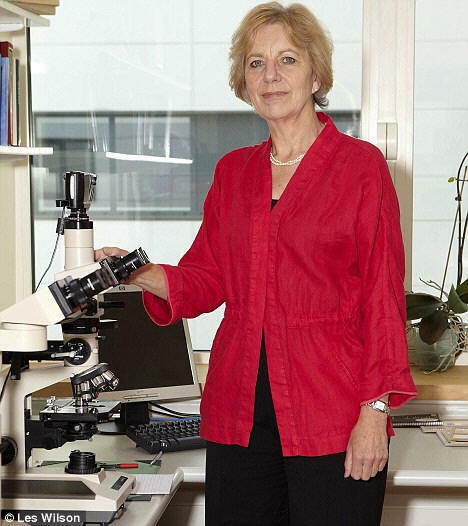 She has spent 30 years researching baby brains and has a solid international reputation. She has appeared countless times in court as an expert witness in cases of SBS, when a child is said to have been shaken so violently that it results in brain injury or death. You would imagine that when such an eminent scientist says recent scientific developments show that, in the past, she and others have been wrong about SBS, she would be listened to. Instead Dr Squier has been on the receiving end of vicious attacks by some doctors, lawyers and police officers who do not like her views. She has even been referred to as a supporter of child abusers. ‘Why would I want to do that?’ she asks. About 250 SBS cases go to court each year. Expert witnesses play a pivotal role in trials. Babies often do not have any symptoms other than bleeding to the head and eyes so, unlike most criminal cases, the opinion of the pathologist may be the only evidence to consider. However, some convictions are controversial. The problem has been that there is no single agreed definition of SBS. Instead, for the past 30 years, the findings of a U.S. radiologist, John Caffey, have been used in courts. These findings centre on three signs – swelling of the brain, bleeding between the skull and the brain, and bleeding in the retina – known collectively as the triad. If they are present then a conviction is likely. But Dr Squier is one of a growing number of doctors who believe that relying on the triad alone is no longer enough. ‘Over the past ten years so much more has been discovered about how a baby’s brain develops in its first year and these developments have seriously undermined SBS,’ she explains. 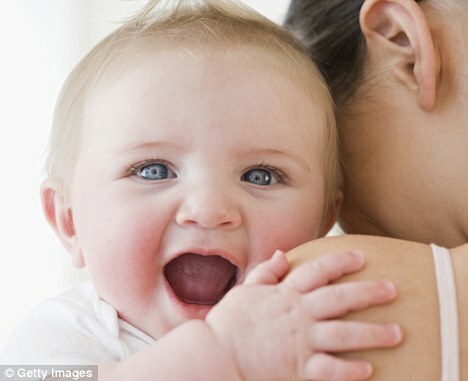 ‘We now know, for example, that almost half of babies have a triad at birth, which can be caused by different factors. ‘In the past four years there have been several discoveries about the dura, the membrane covering the brain. It was thought that it was there to protect the brain from shock, but we now know it also has the very important function of controlling blood flow out of the brain. ‘At birth the dura has huge blood channels that can leak – and not always as a result of trauma. They do, however, disappear during the child’s second year of life. ‘These findings are so significant that I now believe that half or even more of those who have been brought to trial in the past for SBS have been wrongly convicted. 'I am also convinced we can virtually exclude shaking as a cause of death in babies unless, as well as bleeding in the brain, we have additional evidence of trauma, such as serious damage to the neck. Although her view is gathering momentum worldwide, it has ignited an increasingly toxic argument between doctors, lawyers and police. ‘Some pathologists want to remain in an unchallenging comfort zone of an outdated theory,’ Dr Squier explains. ‘Some judges don’t like the fact that new scientific discoveries make convictions more complex, and the police don’t like them because it can prevent them from getting the convictions they want. ‘I think the police are so put-out that they are trying to ban me from court. It’s why I would like Justice Secretary Kenneth Clarke to set up an inquiry into the methods police have used to deter expert witnesses who challenge old mainstream beliefs. 'This raises serious concerns that one side of the argument is not being heard and means there cannot be a fair trial. Dr Squier, who is divorced with two grown-up daughters, is devoted to her work and, despite the pressure she is under, she speaks calmly. Born in Surrey, she qualified as a doctor at Leeds Medical School. After spells in Bristol, Cornwall and London, she moved to Oxford in 1984 and took up a post as consultant pathologist at the John Radcliffe Hospital, where we talked. Her change of opinion was triggered ten years ago by pioneering work carried out by Jennian Geddes, a former consultant neuropathologist at the Royal London Hospital. Geddes argued that, in a small number of cases, injuries associated with the triad can occur naturally; that some babies suffer from a lack of oxygen supply that triggers bleeding; and that there should be some signs that the baby suffered trauma. ‘A light went on in my head,’ Dr Squier says. She began to conduct her own investigations and found similar evidence to Geddes. ‘It made me feel guilty about my previous unquestioning acceptance of the shaking hypothesis. Dr Squier has an impeccable professional reputation so she was shocked early last year to receive a letter from the Human Tissue Authority, an organisation which ensures that doctors keep good records and have consent for everything they do. ‘The Metropolitan Police had raised concerns about the way I was handling post-mortem tissue and the possibility that unrecorded material was being stored, used and disposed of without the knowledge of the police. Fortunately, our procedures at John Radcliffe are absolutely robust, we know where every piece of tissue is, and no action was taken. ‘I barely slept for six weeks,’ she says. ‘It was a terrible experience but the hearing had barely got under way when it was dismissed and no restrictions were made on my practice. ‘However, the panel couldn’t remove the complaint lodged about me with the GMC and I don’t know whether it will take it forward. It is hanging over me like a dark cloud. The accusations began to make sense following a conference on shaken babies, which took place in Atlanta, Georgia, last September. DI Welsh, in a public lecture, talked disparagingly about prosecution cases that had failed largely due to expert defence witnesses. He described a way of eliminating them from criminal and possibly family court trials, thus precluding alternative views being presented. He believed they confused the jury and possibly the judges with the complexity of science. DI Welsh’s solutions included ‘questioning everything – qualifications, employment history, testimony, research papers presented by these experts, go to their bodies to see if we can turn up anything’. Among the audience was lawyer Heather Kirkwood, who was so shocked that she took notes and has signed an affidavit that these notes are a true record. She says: ‘In the past decade, we have learned that much of what we thought we knew about SBS was wrong, and that many of the babies that we thought were shaken were instead suffering from birth injuries, childhood stroke, or metabolic or infectious disease. ‘Now that we know we got it wrong, we need to get it right. Instead, many prominent advocates of shaken baby theory have resorted to attacking researchers such as Dr Squier, who is one of the world’s leading experts on the infant brain. Dr Squier was outraged to learn of DI Welsh’s comments. ‘It proved in my mind that the police have set out to remove me and two other neuropathologists who share the same view from the courts because we have stood in the way of their campaign to improve conviction rates. If an expert witness bases an opinion on reasonable scientific ground, even if the opinion is a minority one, it should not be excluded. ‘I am determined not to be silenced and if I can’t speak out in court, I shall do it in scientific papers. It cannot be fair to gag one body of opinion. The whole thing is a nightmare, not least because instead of researching vital things about babies, I have to spend time trying to clear my name. ‘Meanwhile, the number of court cases I have been asked to attend has plummeted from 30 a year a few years ago to five in the past year. ‘Some lawyers are still willing to instruct me because they believe I will give them an opinion based on the science. Others feel they can’t use me while the complaint is hanging over me.